there are no plans to update this data, notice will be given here and on the methodology page should an update occur. 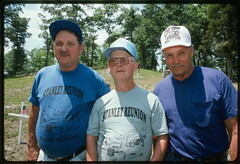 In 1986, mountaintop removal operations began near Larry Gibson's home. Over the next 20 years, "the slow motion destruction of Kayford Mountain has been continuous - 24 hours a day, seven days a week." Coal companies have flattened more than 12,000 acres of mountain landscape around his home. Where he once looked up at the peaks of Kayford from his family graveyard, he now looks 300 feet straight down at a blasted and devastated landscape. Read more. Is Northern States Power Co - Minnesota not your power company? CLICK HERE to select your utility from a list. The story of Kayford Mountain, West Virginia, is one of many that are connected to the power plants on your grid, which are marked on the map below. The mountaintop removal mines shown in red are connected to the nearest coal power plant on your grid: Black Dog, operated by Northern States Power Co - Minnesota. Click on the mine symbols to take a closer look in Google Maps, or click here for a detailed explanation. Want to Break Your Connection? pledged to help end mountaintop removal. 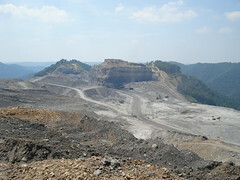 legislation to end mountaintop removal coal mining. Green Power Programs in your state! Click any power plant to see how it is connected to mountaintop removal or any mine symbol to get a close-up view of that mine. The controls on the top left of the map allow you to zoom in closer to the ground or back out to get a broader perspective. Even easier, though, is to navigate with the "hand" tool. Clicking and dragging on the map will move the map in the same direction, double-clicking on a point will center the map on that point and zoom you in a little closer, and double clicking with the right mouse button (ctrl-click for macintosh users) to center on a point and zoom out. There are a total of 3 coal-fired power plants on this grid that are connected to mountaintop removal. Following are details on how each is connected to mountaintop removal. If Northern States Power Co - Minnesota (owned by Adams Wind Generations LLC) is not the company that sends your electric bill, please CLICK HERE to select your electric provider from a list.